Say G'Day Saturday (6)- What's On The List? And these great sewing-related parties! 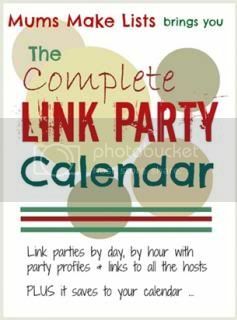 Have you seen this Party Calendar by Mums Make Lists? Huge collection of parties by date and time! Thank you so much for listing all these link parties. I love how you organized it and put the opening days and times too!